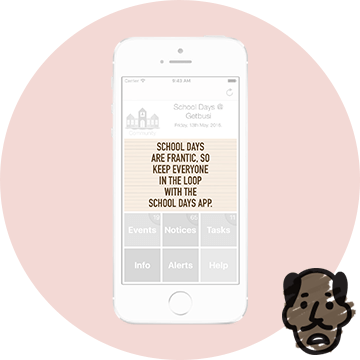 School days can be frantic, so keep everyone in the loop with the School Days app. 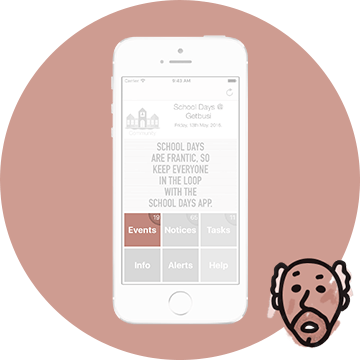 The Noticeboard is the first thing your community will see when they open your app, so they'll be passing it by every day. 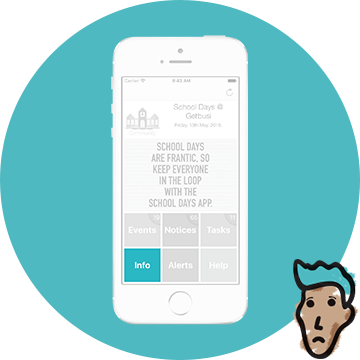 Use it to get a short clear message to everyone about the most important things happening at school. Notices are organised, dated messages about anything that's new. You can attach digital copies of newsletters where they won't get lost on their way back home and will always be easy to refer back to. You can even connect your school social accounts and let everyone find your tweets, Facebook posts and Instagram pics in the one place. Let everyone know when and where an event's happening and remind them the day before. 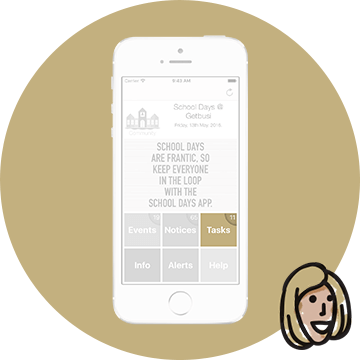 You can put your school's whole schedule in easy reach of everyone, and in context of everything else that's going on at school. 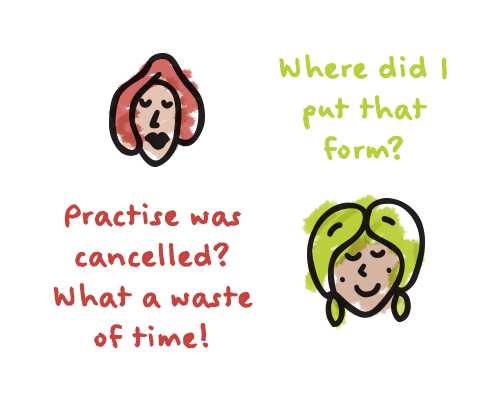 Let parents keep track of forms and anything else the school needs them to do. They’ll see everything that’s due or coming up in one place that you've organised — not lost at the bottom of a backpack. Useful resources can live in lots of different places, not just on your website and not just in School Days. With Links you can maintain a list of quick links to things like bus schedules, uniform shop opening hours and your learning management system. Need to get something out to the community right now, with just that little hint of urgency? That’s what alerts are for. A quick shout out to get everyone's attention. If you work at a school or have kids you're already the busiest person in the world and the last thing we want is to give you some newfangled software to learn. That's why School Days is as straight-forward and approachable as possible. All you have to do is choose what to send out and when; You can do it from any web browser. In fact, we'll show you on a chart exactly how many people have read and received what you've sent. Your School Days content can be accessed anywhere, anytime from any device. There are dedicated Apps for Android, iPhone and iPad. 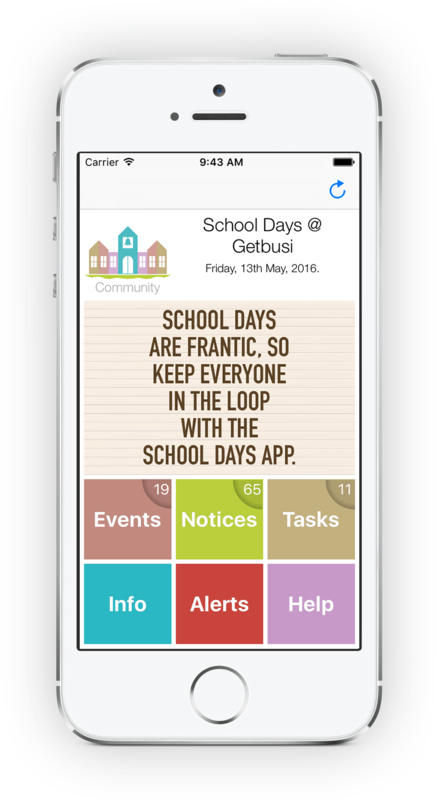 You can also access School Days from any browser, allowing users with Windows phones, Blackberries and desktop computers to stay in the loop. Thanks! 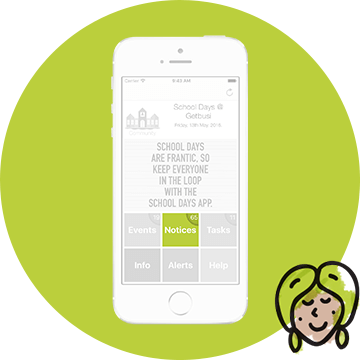 We’ll contact you soon to get your school up and running with School Days.